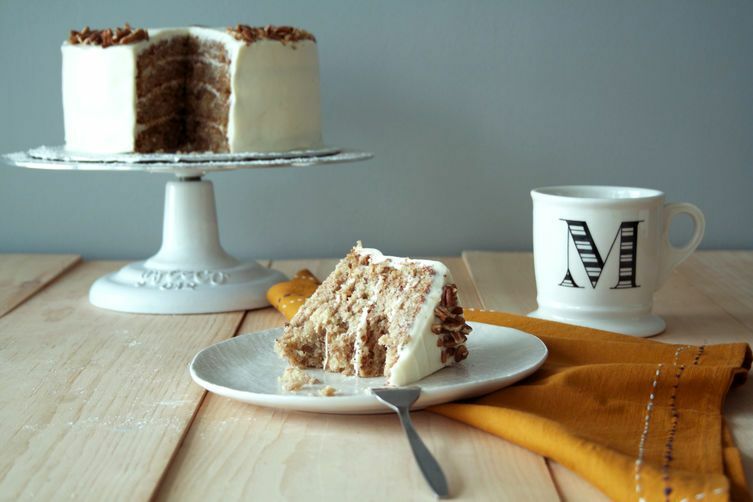 Today: Marcella DiLonardo of modest marce makes Hummingbird Cake—a southern gem destined to become a staple in your kitchen. Telling people I was raised in Central Canada often elicits several assumptions about my favorite foods. Yes, Canadians generally love dill-flavored chips, and poutine is inarguably delicious, but it’s a classic Southern American dessert that makes me swoon. 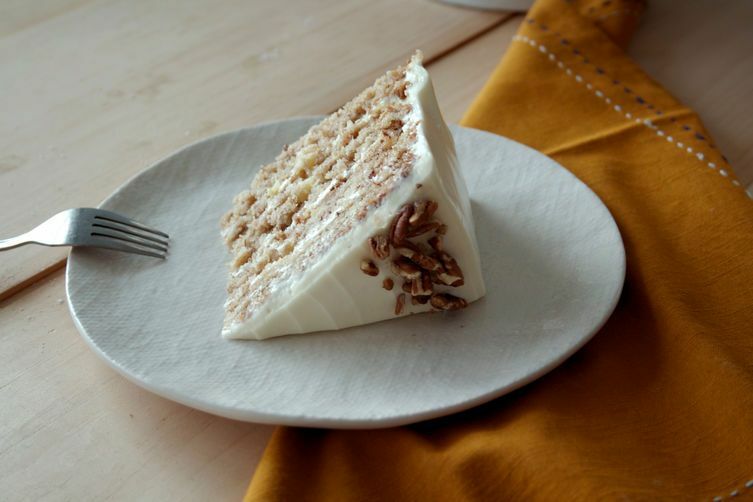 Filled with bananas, pineapples, and pecans, and layered with thick cream cheese frosting, Hummingbird Cake is carrot cake’s lesser-known (but hunkier) cousin. 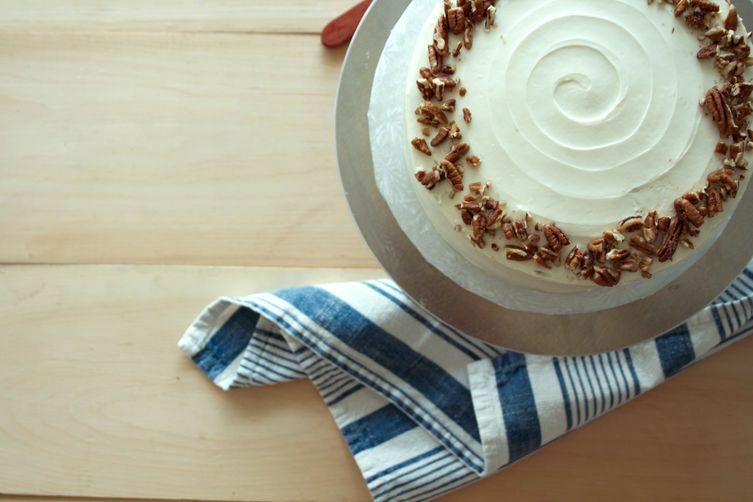 Note: No hummingbirds were harmed in the making of this cake. Preheat the oven to 325° F. Grease two 8-inch circular cake pans, and set them aside. In a mixing bowl sift the flour, baking soda, salt, and cinnamon. Set aside. 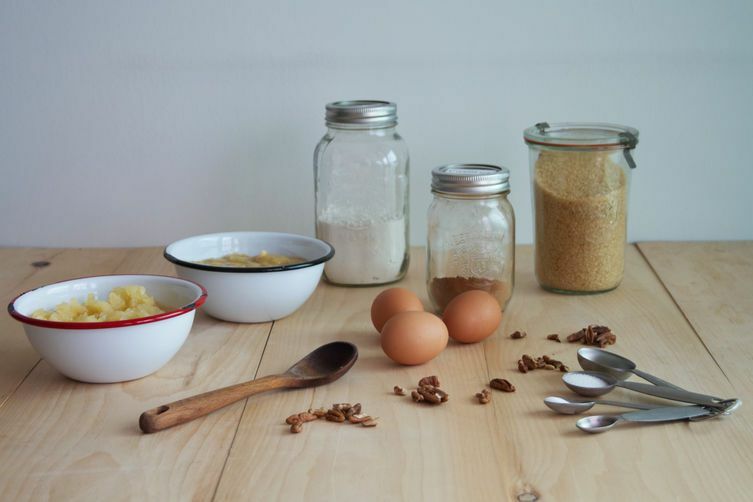 In a separate mixing bowl, use a wooden spoon to mix together the sugar, oil, eggs, and vanilla until well combined. Stir in the pineapple and bananas. Add the coconut, if desired. 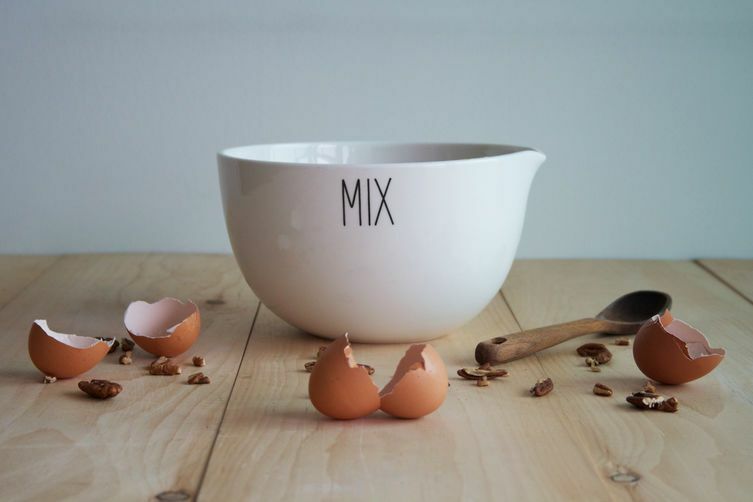 Add the sifted dry ingredients to the egg mixture and stir them together until just combined. It is important to not over-mix this batter. 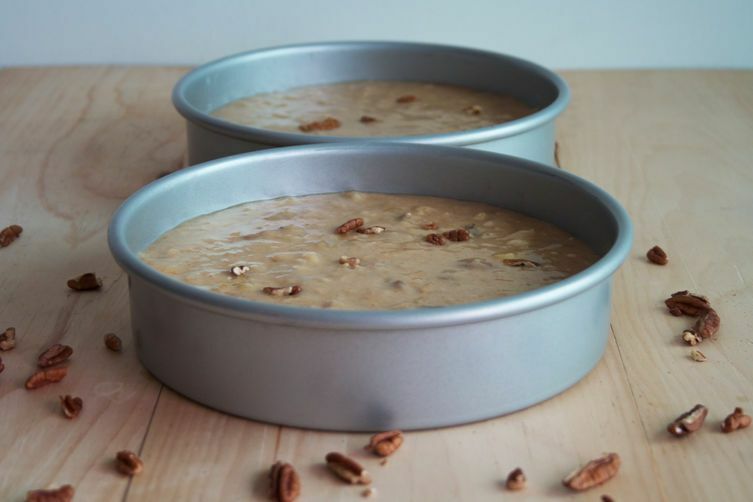 Stir in the pecans and evenly divide the batter between the two cake pans. Bake until a toothpick comes out clean, approximately 25 to 30 minutes. 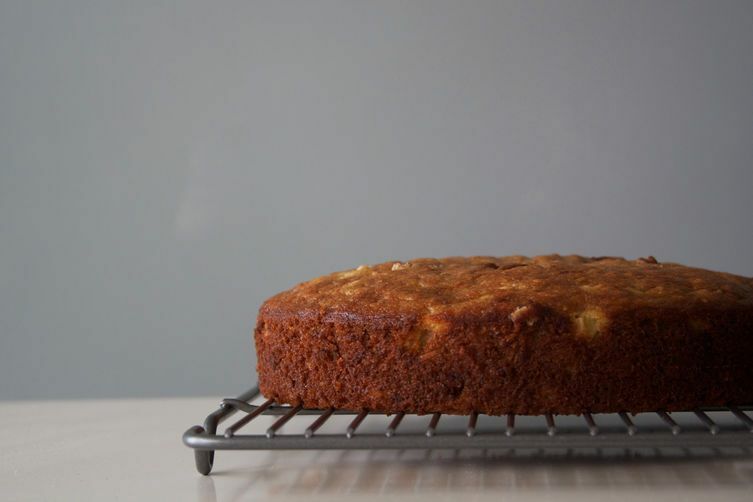 Let the cakes cool completely before removing them from the pans and frosting them. 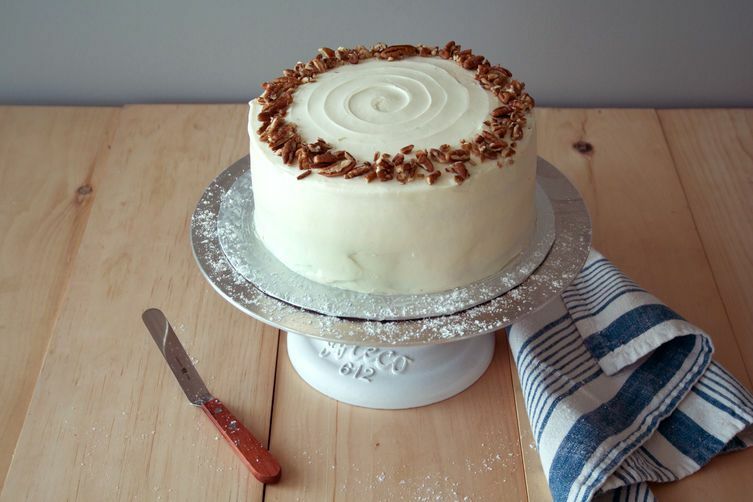 To make the frosting, attach a whisk attachment to your stand mixer. In it, beat the butter, sugar, and vanilla until light and fluffy, approximately 8 to 10 minutes. If I were to use white sugar instead of raw would it be the same ratio? 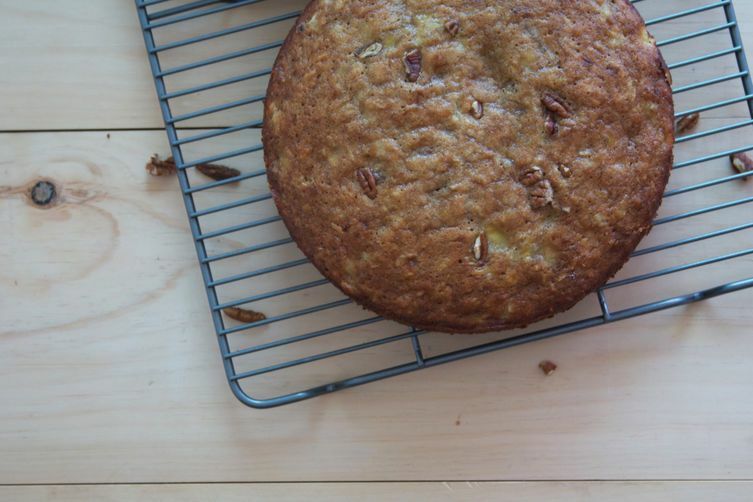 This is my favourite cake of all time..it actually originated in my Jamaica and was brought over to Charleston, SC....divine...I use whipped coconut cream for the icing with roasted coconut chips folded into it. How do you "crush" pineapple? Is this fresh pineapple, or from a can? i use canned "crushed pineapple" as the level of sweetness is more consistent then a fresh pineapple! This is the cake I ask for on my birthday every year, too! It's a FANTASTIC cake! Fantastic recipe Double 'M'. The cake looks great in the pictures but would look better on my kitchen counter. :) Any plans to post a recipe for them cakes i.e. a VAN HALEN R/B/W Striped Cake? This looks wonderful! Do you think I could get away with substituting the canola for melted butter or coconut or olive oil? ok cool! Thanks, I can't wait to make it :) Would the ratio for the butter be 1:1? yep :) hope it's delicious! One of my all-time favorite cakes! This looks so incredible, Marcella! I love the idea of this being Carrot Cake 2.0 - I already love carrot cake. A cupcake place I loved in Seattle (Trophy Cupcakes) used to make a Hummingbird cupcake that was outstanding. I might give this recipe a try. However, this seems like a crazy amount of sugar - 2 1/4 cups in the cake and 3 cups in the frosting? I don't think I would use that much and would be tempted to halve it.